Explore the Heroes and their Power Cards! Dask fumbled through the bustling marketplace, tipping over a merchant’s stall of steaming falafel as he pushed forward. Above shouts of outrage and anger, he could hear the faint whir of a dagger cutting through the air nearby, followed by a flash of crimson light. He ran faster. carefully observing his illicit arms deals as he provided powerful weapons to the enemies of InterGov. Now, finally, she had been given permission to apprehend the arms dealer using any means necessary. Dask stumbled into a dark alleyway past the market. He moved a few steps further down the ally and frantically searched for an exit. Suddenly, the Kikabii dagger hurled through the air and struck the wall next to him. As Dask turned towards the sound of the impact, Kosi’s body suddenly appeared, wrapped in brilliant red energy as she teleported to the dagger’s location. 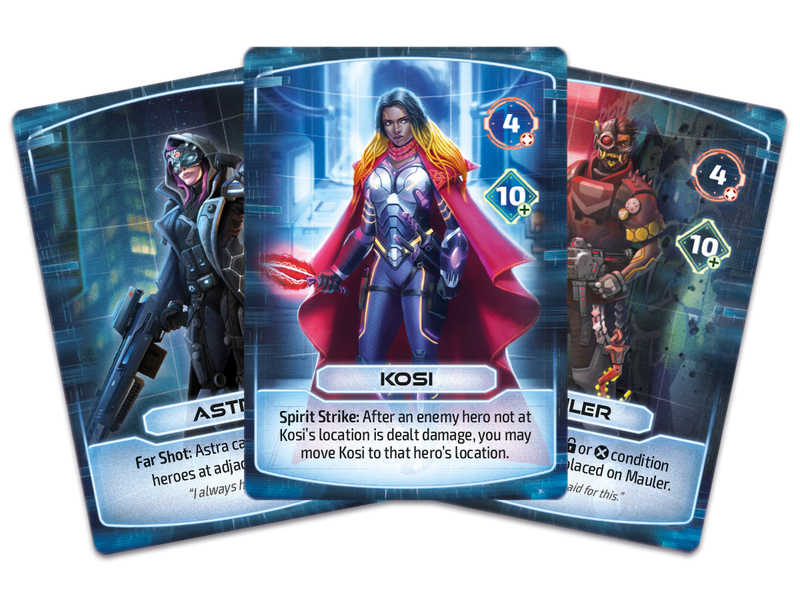 Hero cards are the at the core of Guardians, depicting each of the heroes a player has chosen to make up her team. 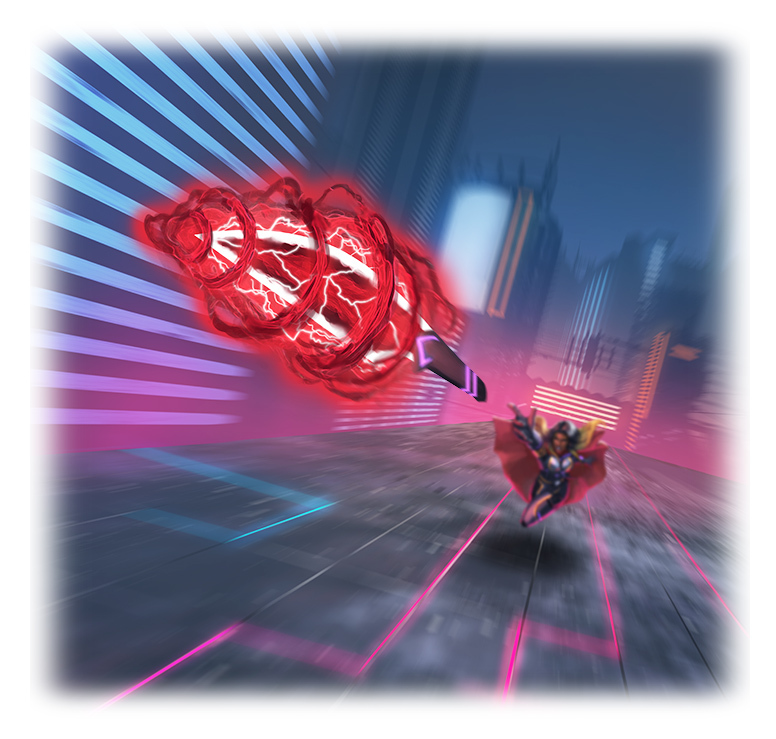 Near the center of a hero card you’ll find the hero’s name and ability. Each ability is specific to that hero, so finding the right synergy between these will be crucial to your strategy. Near the top of the card you’ll see the attack and life value, respectively. The attack value indicates how much damage that hero deals to enemies when attacking, whereas the life value shows how much damage a hero can withstand before they are knocked out. 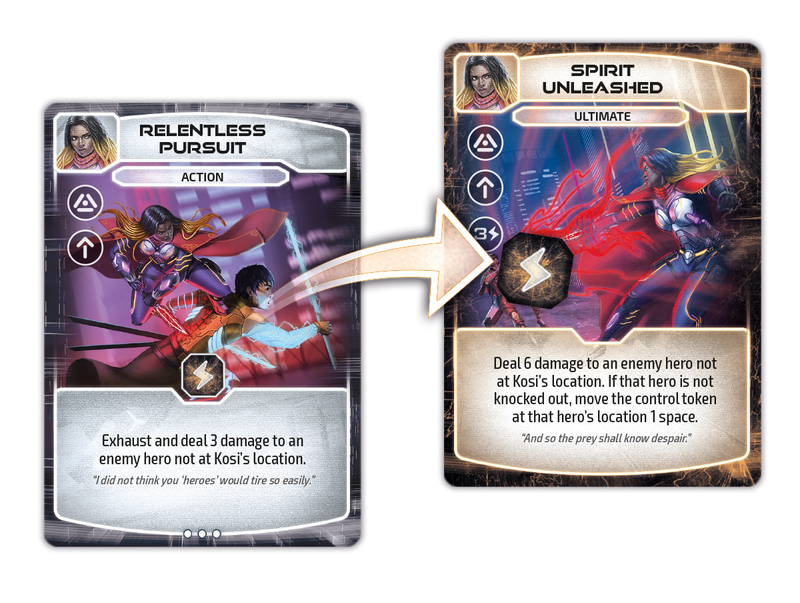 Each hero also has their own unique power deck and ultimate card which players use to construct their draw pile for the game. Power decks are an important part of each hero’s distinct identity, so let’s take a look at how they work. Each hero’s power deck contains 6 cards (three copies of one card, two copies of another, and one utility card) that players will shuffle together along with one basic power deck (2 x Barrier, Intel, and Reposition) to form a 24-card draw pile to use during play. 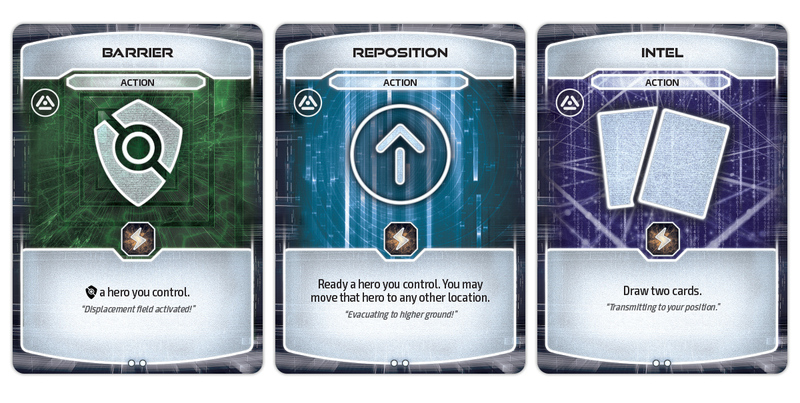 Additionally, each hero also has a corresponding ultimate card that players will set aside at the start of the game. Ultimate cards are powerful, game-changing abilities that change the course of battle. Each ultimate card has a charge cost in the upper left corner of the card indicating how many charge tokens must be placed on the card in order for it to be used. Each time you play a card from your hand with a charge point, you may place a charge token on any ultimate card you control. As the game continues, players will need to strategically assign their charge tokens to the right ultimate card for their team. You can count on ultimate cards to disrupt your opponent’s strategy and deal some serious damage to enemy heroes! Now that you’ve assembled your team of heroes, it’s time to take the fight to your enemy. We’ll be exploring the battle for location cards in next week’s preview, so be sure to check back. Remember, Guardians is available for preorder here and will be hitting retailers and our own webstore later on this year! Also, be sure to stop by Booth #1537 at GenCon for a special preview sale! Callin Flores a Designer and Communications Specialist for Plaid Hat Games.